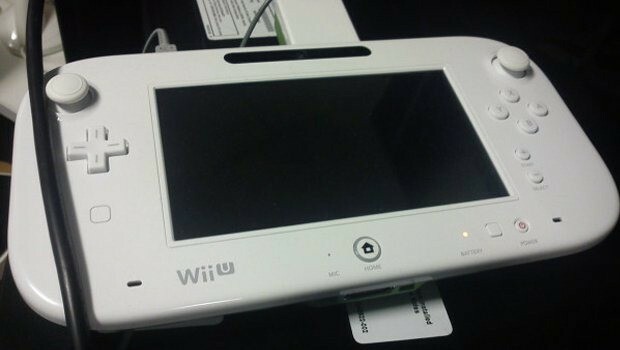 A QA tester has inadvertently revealed that the Wii-U’s iconic tablet controller has been altered since the last time Nintendo showed it to the world. The biggest change is that the nub sticks found on the 3DS have been removed from the controller and replaced with real analogue sticks as you would find on the Xbox 360 and PS3. This is a great change and while the nubs work fine on portable devices they aren’t as efficient and user friendly as true analogue sticks. The other changes include moving the start and select buttons as well as including the Wii-U logo for the first time which alludes to that name actually sticking around unfortunately. The original picture has now been removed from the twitter account of the tester but thankfully Gamesradar managed to steal a copy of it before it was deleted.